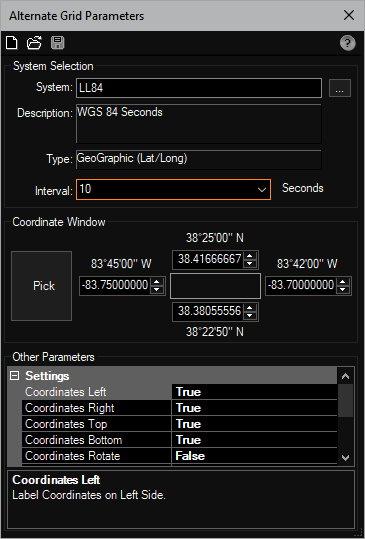 GeoLocationPlus is a collection of tools to extend and enhance the GeoLocation functionality in AutoCAD (2015 or Higher) as well as add it to AutoCAD (Legacy), BricsCAD, and IntelliCAD. For these CAD engines without GeoLocation it contains it's own coordinate projection engine! 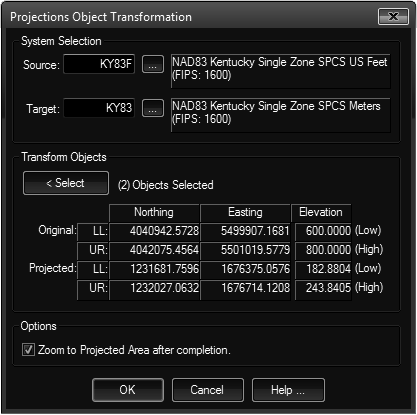 Set Location: Sets and stores the coordinate system for the current drawing. 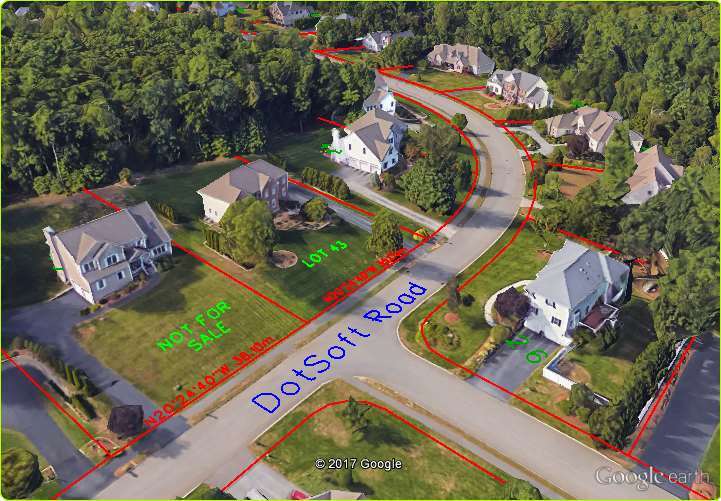 An intuitive alternative to the confusing AutoCAD set location method. Optionally zoom to system extents, turn on GEOMARKERVISIBILITY, and set the drawing units (feet/meters) to match the selected system. Does not require logging into Autodesk 360! Alternate Coords: A system allowing entry and labeling of a second system. 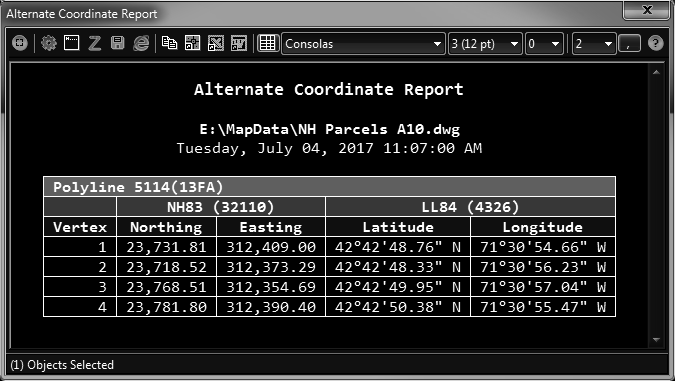 For example if your current drawing is in state plane, you can easily enter values in lat/long or place updatable labels displaying the alternate system. You can even copy the labels and update them. Set the current alternate coordinate system code. 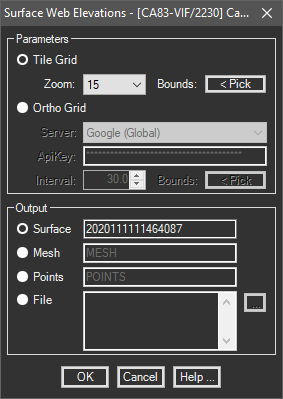 Draws a bound collection grid lines (or tics) and labels in an alternate coordinate system. 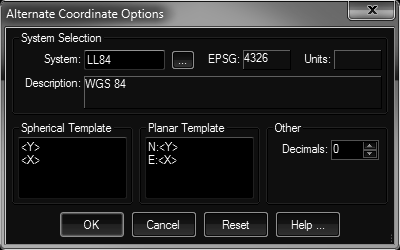 Enter an alternate coordinate any time CAD is prompting for a point using the transparent 'AC command. Add an alternative coordinate label at multiple pick points with update options. 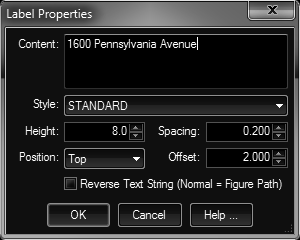 Generate a report of selected objects with drawing and alternate coordinates (with or without elevations). 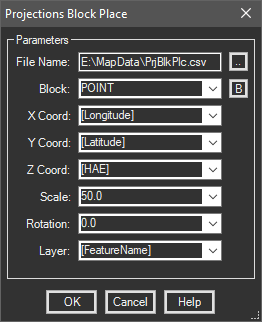 Block Place: Place inserts into the drawing at projected locations from files containing lat/long values. Additional fields in the file are mapped to block attributes. 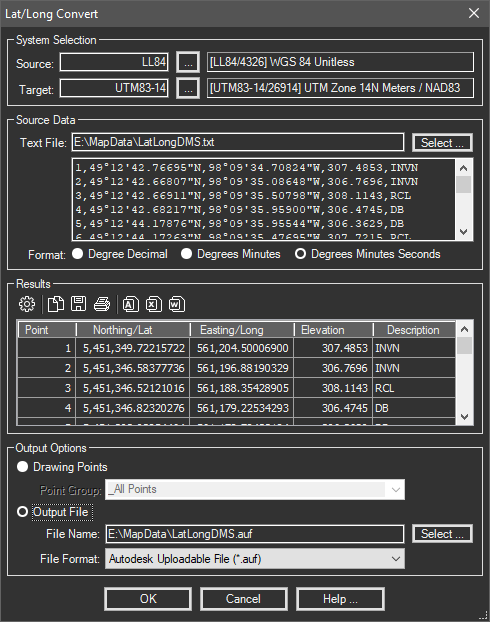 Convert Lat/Long: Reads lat/long text files (DD/DMS), projects to designated coordinate system and writes to point file. 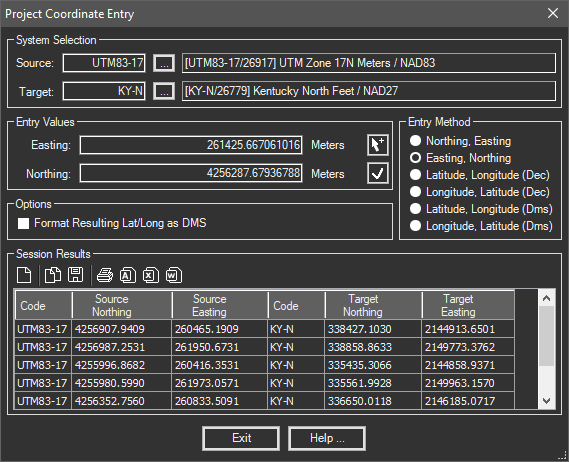 Coordinate Entry: Enter or pick coordinates which are projected and listed. Convert between any two systems, even data shifts of NAD27 <> NAD83. Cursor Track: Tracks the coordinates of the CAD cursor in multiple coordinate systems. Optionally outputs coordinates on ID command ending. Drawing Harvest: Harvests multiple drawing extents and properties (DWGPROPS), creates output drawings or reports. 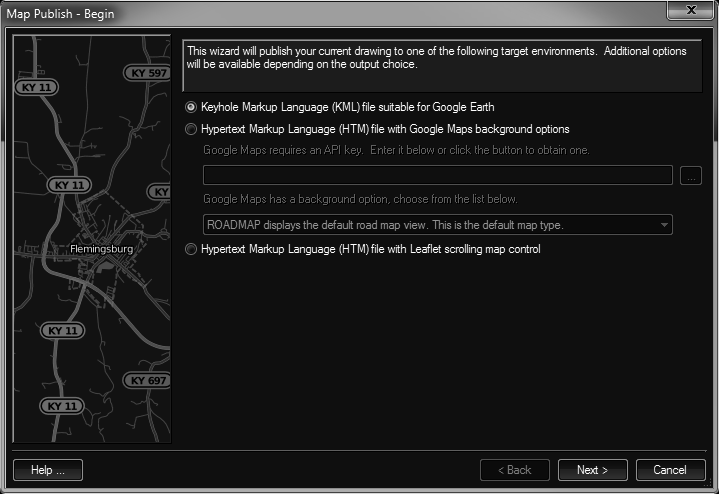 Export to Google Earth (KML) with preview thumbnail or web ready reports (HTM) and more. DMS <> DD: Convert numeric values between degrees, minutes and seconds to degree decimal. Allows for quick copying to the clipboard or pasting into the command prompt. Excel Parse: Projects coordinates in an Excel spreadsheet and writes the projected values to adjacent columns. Extended Data: A system to allow you to easily add, edit and process extended data on any AutoCAD object (such as polylines). Draw geometry (hatches, mtext, inserts) based on values in extended data. Edit the extended entity data on a single object. Dockable palette automatically shows extended data when one object is selected. 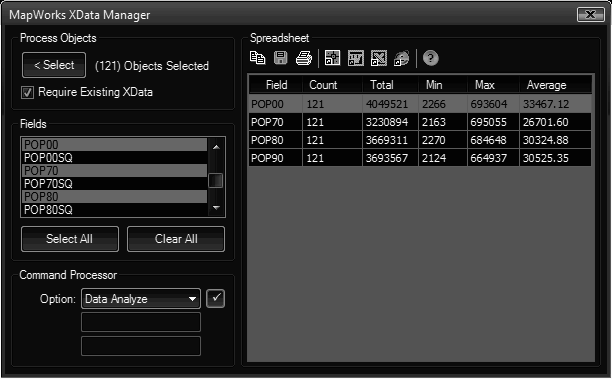 Manage xdata with operations across a selection set of objects. Geodetic Inverse: Reports planar and spherical (haversine) bearing and distance. 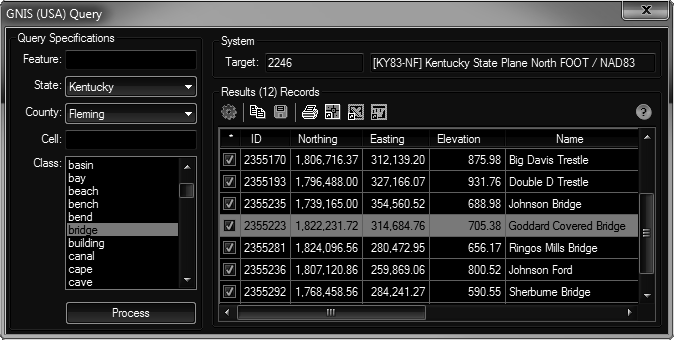 GNIS Query: Uses the internet to query the Geographic Names Information System with plotting options. Google Maps: Various tools for Google Maps (in browser) such as display points, directions (two pick points), streetview. GPS Track: Real time GPS tracking with marker and track data collection, voice guidance, alignment and surface information. GTFS Feed: CAD import and export of GTFS (General Transit Feed Specification) feeds. Processes the stops.txt and shapes.txt files for two way transfer to/from polylines and geolocation markers. Allows editing of this data in the CAD environment! 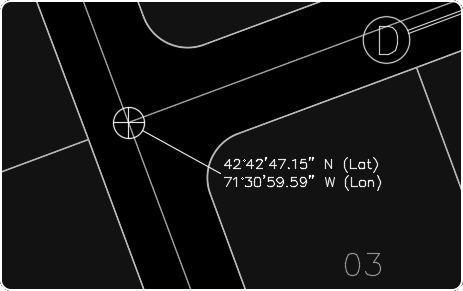 Image Symbols: Go straight from your GPS enabled camera to CAD! Locates symbols representing GPS Photos (with EXIF data) directly from images. Creates a hyperlink to the image, projects to drawing system, rotates to view (if bearing data exists), and more. Layer Order: Reorder objects by layer with simple move up/down buttons, settings saved in the drawing for next use. Legends: Generates a symbol legend and/or linetype legend reflecting those objects actually used in the drawing. Link Inspect: Shows linked images in a resizable preview window as you move the crosshair over objects (such as polyline house outlines) containing links. 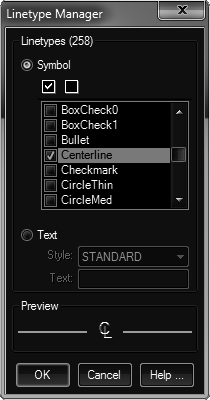 Linetype Manager: Quickly create symbolic linetypes (arrows, bullets, numbers, shapes, etc) or text based linetypes based on characters you enter. Map Import: Import major formats produced by ESRI, civil applications and government agencies. This tool allows you to select multiple files, specify a coordinate window, and quickly import mapping information directly into your CAD drawing. Map Export: Export AutoCAD geometry to various file formats. Map Publish: Publish your drawing to an KML (Google Earth) or HTM file using Google Maps or Leaflet to display the drawing in a browser. Push the html file to your web server and anyone (with an internet connection) can view the map using any type of device or browser. Markers: Various tools to process GeoMarkers including quick add (on objects), convert nodal objects and reporting. OpenStreetMaps: Imports OpenStreetMap geometry by simply windowing an area inside the drawing or display OpenStreetMap in your browser with the current drawings viewport. Slippy Tiles: Draws polyline rectangles showing the extents of TMS slippy tiles at a zoom level. Surface Web Elev: Creates a surface (or insert/export points) with the elevations returned by the Bing, Google, Mapzen, or the USGS Elevation Service. Symbol Manager: A tool for managing both the symbols provided and your own user symbols. You can assign a scale factor from 10% to 200% to resize the DWG preview bitmaps. A single click gives you operating system file details along with properties embedded in the drawing, as accessed from the DWGPROPS command. A large collection of symbols in the areas of arrows, mining, points, road plan, shapes, trees, utility, and vehicles can be downloaded with a single click inside the symbol manager. Text on Objects: Draw text along linear objects such as lines, arcs, polylines, etc. Transform: Projects a selection set of geometry from one coordinate system to another in the current drawing. TMS Tiles: Builds insertable images from TMS (Tile Map Service) to produce plan view maps, satellite imagery or terrain images. World Command: Inserts multiple TIF/JPG/PNG images based on world files or creates a World TFW/JGW/PGW file from a selected image (even rotated). Product Support: Email Support Only. Before you buy: Consider that all this functionality is only a small part of our MapWorks or C3DTools packages! Unauthorized duplication is a violation of federal law.